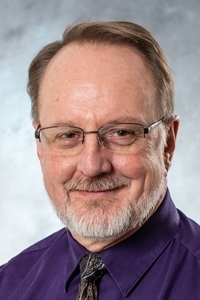 Dr. Alan Laird serves as the medical director for Northwestern's physician assistant program. He is a board-certified family practitioner who previously worked for the Orange City Area Health System, where is was the chief medical officer and handled outpatient care at a satellite clinic and inpatient care at the Orange City hospital. He also provided emergency room coverage for OCAHS. Other experience include nine months as a family physician at the Tandala hospital in Tandala, Zaire (now the Democratic Republic of Congo); two years as an associate professor of family practice at the Appleton (Wis.) Family Practice Residency; and one year as a family physician at the New Ulm (Minn.) Clinic. Dr. Laird is a Northwestern College graduate who earned his medical degree from the University of Iowa. He is licensed by the Iowa Board of Medicine and the South Dakota Board of Medical and Osteopathic Examiners. He is also a member of the American Academy of Family Physicians, the American Medical Association, and the American Board of Family Medicine.